Computer science has grown and is still growing, however the growth that it is experiencing far outweighs the number of people studying the science. A projection that has been made states that by 2020 there will be a discrepancy of one million between the available computer science jobs and the available computer science students, and that is a massive disparity. 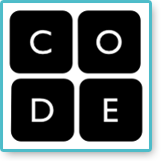 Code.org’s vision is that every school will offer coding opportunities to every student attending that school. Their belief is that computer programming and computer science should form part of all educational institution’s core curriculum along with mathematics, technology, science, chemistry, physics, biology and algebra. The management team at Code.org is quite an impressive bunch. Hadi Partovi is the founder who has been involved in many start-up operations such as Dropbox and Facebook. Ali Partovi is a director who was also the co-founder of LinkExchange. Beside the two brothers, the rest of the team consists of Lesley Chilcott, Phil Bogle, Denise Kindle, Aydin Ghajar, Nat Brown and Rick Hawkins. Code.org is a recently formed non-profit organisation which aims to encourage education in computer science. It was launched by two brothers, Hadi and Ali Partovi, along with a host of successful, well-known individuals who have programming skills and who are willing to impart their knowledge to those who wish to learn. Code.org has posted a video with details regarding their programme and Hadi Partovi has stated that the main purpose behind the film is to appeal to young people, although it is open to everyone. He stated that this is a very important grassroots level start to solving a massive problem. Filling this gap in the job market could improve the U.S. economy by as much as $500 billion. He went further and stated that the enrolment levels in programming classes remain low, but the biggest problem is that most schools do not even bother to teach or offer the subject to their students, even though it is the fastest growing section of employment in the U.S. Apparently nine out of 10 schools have no facilities for computer programming classes, and the ones that do have these classes offer it as an elective subject which does not count towards student graduation. How can you help Code.org? The first step that Partovi would like you to do is distribute their film to everyone you know. Send it to your co-workers, friends, siblings, parents and anyone else you come into contact with, particularly those younger members of your family. There are other ways in which you can help. If you happen to be a teacher, go to the Code.org website and sign the petition to promote computer programming courses as part of the normal school curriculum. If you are a parent, start your child’s coding education by registering for the simple lessons that are available on the Code.org website, or you can search for schools in your area that teach suitable programming. If you have skills related to programming, you can volunteer to teach those skills to children. Code.org has started to prepare a solution for this massive problem.